Despite being an outfit with one of the smallest budgets in Formula 1, the Sauber team provided fans with some truly innovative content last year. Although a number of constructors have previously dabbled with virtual reality in the past, the Swiss team put in a season long effort to bring their audience Formula 1 in 360 degrees. To date, Sauber's YouTube channel hosts more than a dozen videos that can be viewed in 360°. Current paddock restrictions limit what teams can film at a racetrack which means some 'videos' are limited to still snapshots of the weekend's action. However, the best videos are those filmed beyond the reaches of Formula One Management where the team can film as much panoramic video as they desire. Marcus Ericsson doing a demo run in Örebro, Sweden is a particular highlight. Some desktop web browsers are capable of displaying these virtual reality videos but they really come to life when coupled with a headset. You can pick up a Google Cardboard viewfinder cheaply from many outlets, strap your mobile phone inside it and spend an afternoon exploring the Racetracks Around the World playlist. It's an immersive experience and somewhat addictive. Another decent showcase of VR in action is this roundtable discussion between Ericsson and Felipe Nasr which puts the viewer right in the middle of their conversation. As much fun as all of this is, the downside to VR is that anyone wearing a headset does look a bit of a dork. It is unquestionably a solo experience, one that is hard to share amongst friends or use in groups. 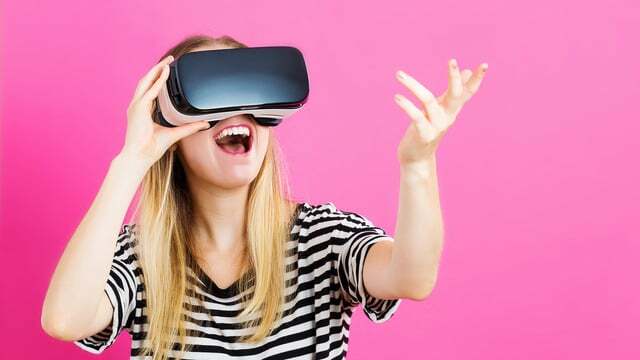 In the long term, developments such as augmented reality headsets that integrate virtual content with the real world might go some way to alleviating much of the stigma and social awkwardness associated with VR today, but affordable and practical solutions remain some way off. Today, 360° video offers a unique way to bring fans closer to their sporting heroes. It is by no means perfect, but as this clip inside an F1 cockpit fitted with a halo device shows, the opportunity to see things from a whole new angle is worth many of the tradeoffs. With the 2017 season about to get underway, it will be interesting to see if Sauber continue with their innovative work and if any other teams look to join them. The launch of a new car is a perfect use case for virtual reality and ten new chassis will be revealed over the next seven days. VR might be ready, but is Formula 1? Episode 70 - When was the last time you sat in a comfy chair at Goodwood?